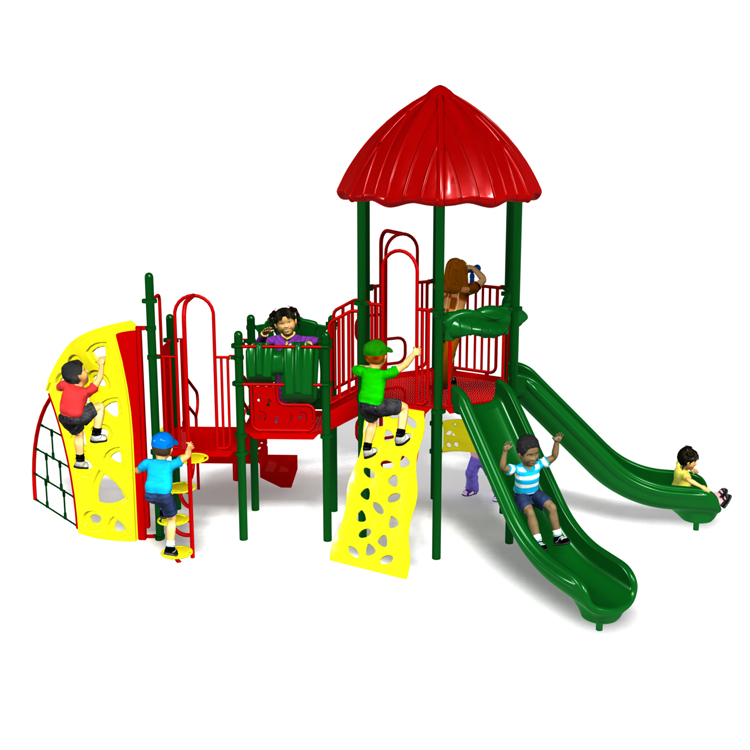 Our Apple Jack structure is a sprawling playground that offers a fun, challenging play experience for kids! 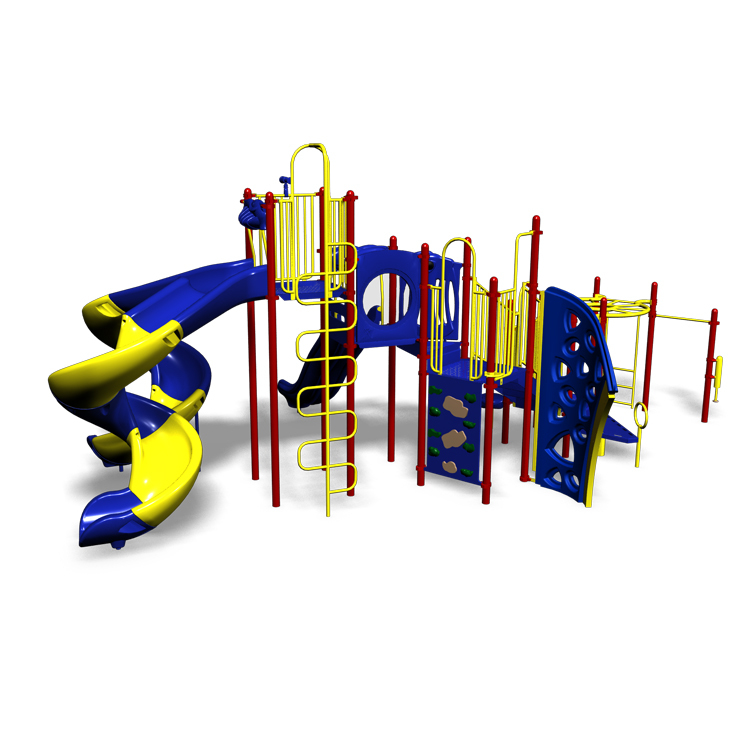 Commercial grade components specifically engineered to resist corrosion, fading and mildew. 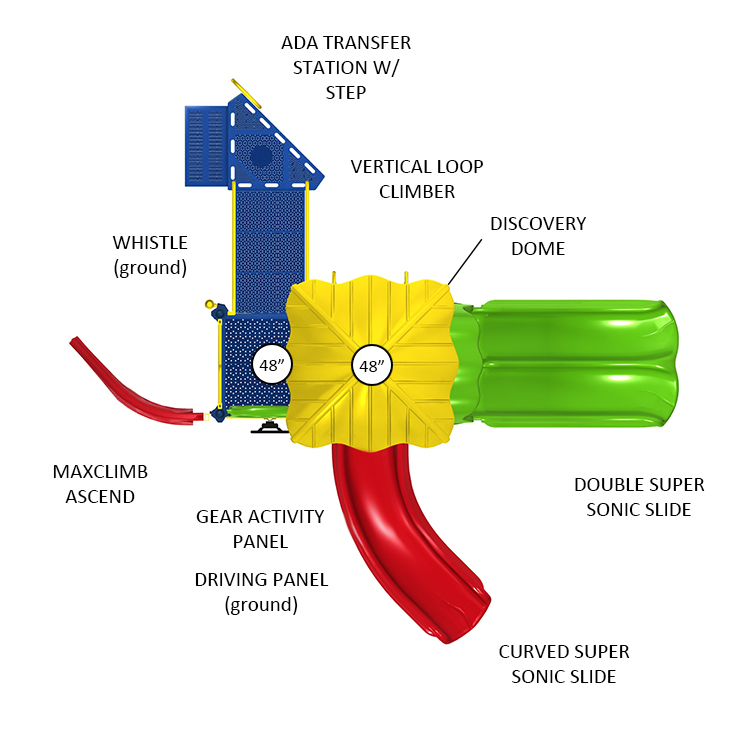 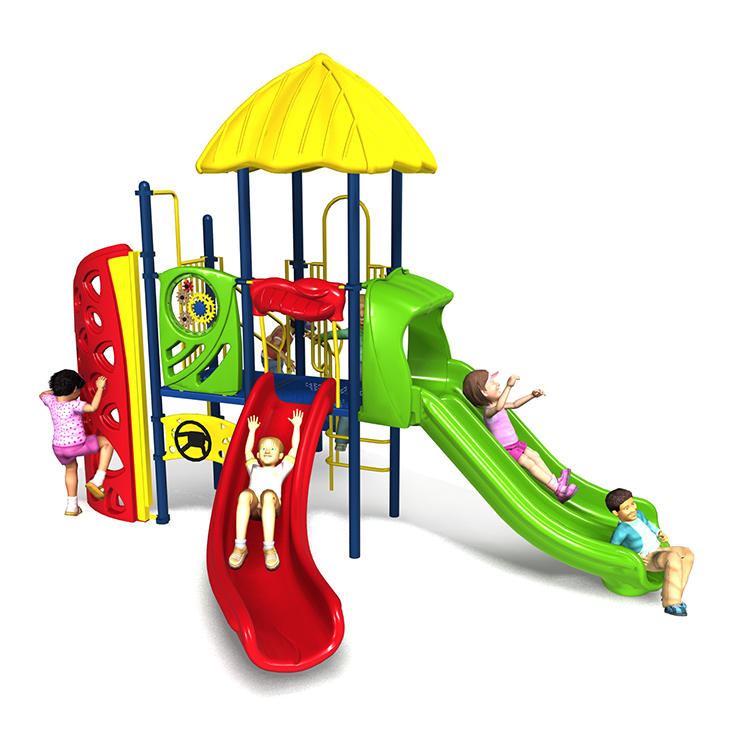 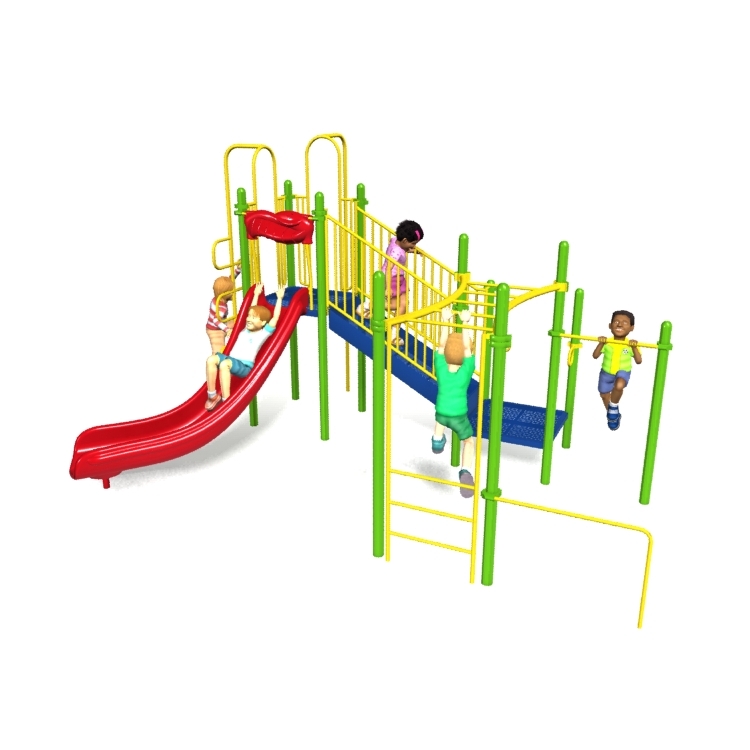 Designed in compliance with public playground safety standards (ASTM & CPSC). 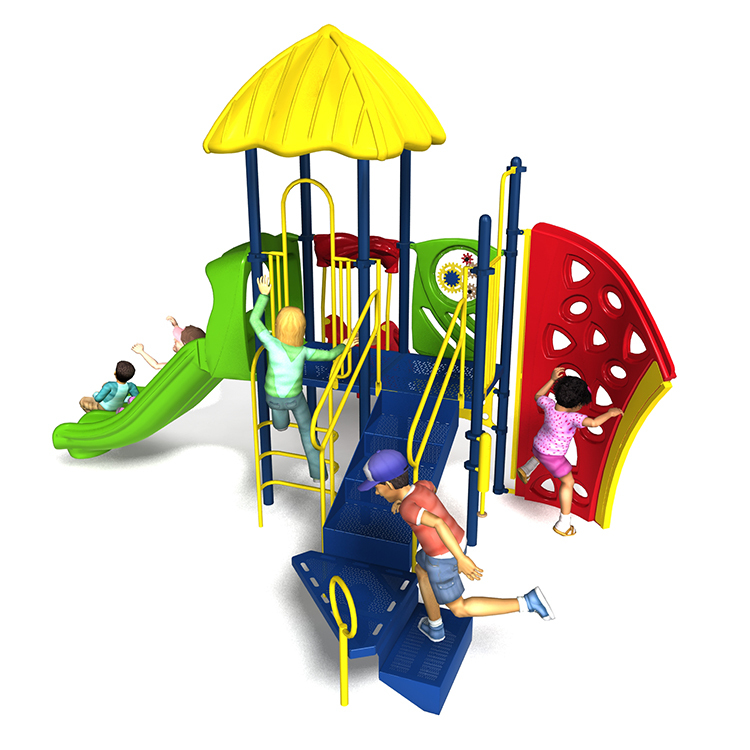 Meets ADA guidelines and allow inclusive play for all children. 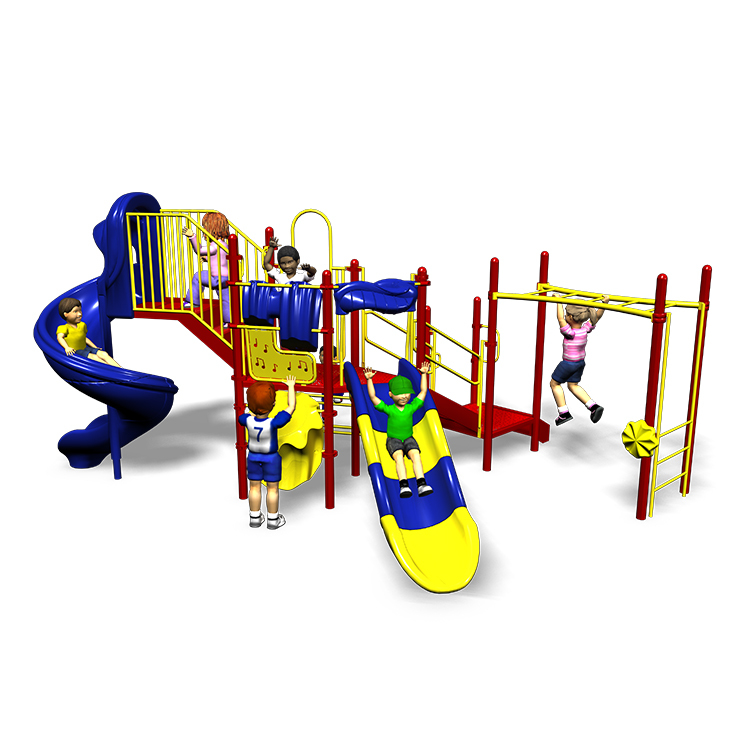 Hundreds of color combinations available to turn any playground into a stimulating play environment.